✅ Trip Verified | Gatwick to Tangier. Missed my flight in this airline, and another flight was cancelled, contacted them regarding refunds and claiming the airport taxes and duties for the flight I missed, no luck, they never replied to my emails, they not interested at all, very poor customer services. ✅ Trip Verified | I travelled with Air Arabia from Dammam to Alexandria. Check in counter took 50 SAR for each extra kilo from travellers. I didn't have any extra weight so I was ok but when I arrived to Alexandria airport, I waited in front of luggage claim conveyor for 90 minutes with 15 travellers but we all couldn't find our baggage. We went to Air Arabia representative and he said he received mail from Dammam and 32 luggages were removed from the plane as they were extra weight. I asked them to send my luggages to home but they refused. Then, I said we will come to collect but you have to provide us with transportation but they said no. After that, I asked to reimburse me for what I paid but no use. I called customer service many times and every time they said we will talk to you later. I sent 3 different mails but there was no response. Again, I contacted them through their web page at facebook and asked someone to call me but they gave me more than 10 promises but no one called me. They have the worst customer service ever. Their employees are very rude and don't try to fix their mistakes or give a respect to their customers. Again, I have never seen such customer service all over the world. "way the airline treated us was awful"
✅ Trip Verified | Gatwick to Marrakech. Our flight was affected by the disruptions in Gatwick airport caused by drones. Understandable that unpredictable situations occur, but the way the airline company treated us was awful leaving us waiting on the plane for 7 hours without any water. Later and in the absence of any information we received an email from the company asking us to phone them. More than an hour on the phone at a charge of more than £50 and noone picked up. On top of that despite the company's representative informing us that we could get refund for the cost of the flight if we didn't fly with them and chose other means, the company now refuses to do so. ✅ Trip Verified | Copenhagen to Agadir. Very unprofessional airline. The customer service is a joke. The announcements in the plane in a broken English where not understandable. If you purchase additional services on the website, they cancel the services included in your rate. In my case, the food included in my rate was canceled because I purchased additional drinks. The plane was not clean and I flew in a early morning flight. "probably won't fly it again"
✅ Trip Verified | Cairo to Sharjah. When Air Arabia was first introduced as a low cost airline, i wouldn't complain much about quality and service given according to value for money. But that's not the case anymore, they are now charging same like official airlines which are giving much more better service and even sometimes charging more. low cost flights are now the exception as offers given every now & then same like everyone else. - Ground team i encountered least to say were rude. you feel like treated as a low cost traveller while you are actually not. Head of ground team was treating people very bad when arranging the bus to air craft from Cairo airport - No in flight entertainment whatsoever - Leg room is extremely small and you're always touching adjacent travellers which is making flight completely uncomfortable - people are fighting each other all the time because of reclining seat back (due to small leg room) and arm rests without interference of flight attendants - charging for meals & soft drinks - charging for baggage - flight attendants are not so friendly - Air craft smell was horrible all the time Bottom line, either review your fares or upgrade your service Wouldn't recommend and most probably won't fly it again. ✅ Trip Verified | Baku to Sharjah. The first time flying Air Arabia. I travel so much but no any other airlines given such bad treatment. They give us separate seats to my and my husband both way coming and going. I am lady sitting separated from husband and some unknown men was sitting to near me for whole journey. T We ask them to give same sit at registration counters but the staff was so bad. They are not supporting at all. I never fly with Air Arabia any more in future. Not Verified | Marrakesh to London. 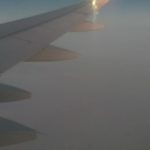 I had read some pretty bad reviews about Air Arabia however, I was pleasantly surprised. The was an issue regarding checking in - we were unable to check in online but had no problem checking in at the airport. The flight was on time, the staff pleasant and we arrived 20 min ahead of schedule. 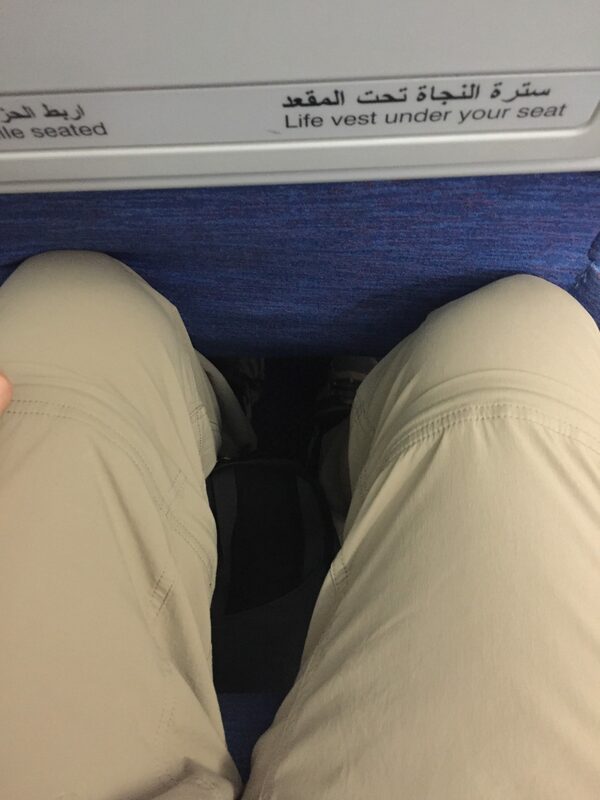 The was plenty of leg room and I would fly again with Air Arabia. Not Verified | Ras Al Khaima to Lahore. I have been frequent flyer of Air Arabia. It used to be a good airline. With passage of time, it service has gone extremely poor. First time in my 25 years of traveling I was called back from immigration and my lap top weight was included in the hand carry. It exceed few kilo. I was forced to remove my laptop. I left my bag in the car and travelled. The duty manager did not listen to my request. In fact a smile on his face showed how much non professional people this airline hires. It was worst traveling experience of my life. "one of the worst experience"
✅ Trip Verified | Sharjah to Goa. This was one of the worst experience. Me my husband and my daughter were travelling from Sharjah to Goa in the month of June. They were supposed to check the baggage weight during the boarding process. No one asked us about the hand baggage weight. After the immigration was completed, the officer stopped us while going towards the gate and said they want to recheck our hand baggage. We had already weighed our luggage in the local office in Abu Dhabi and they had informed us that the hand luggage is within the limit as they would not check the laptop bags. The ground officer checked our hand baggage, laptop bag, yy Purse and my daughter's laptop bag. He said we have 12 KGs excess bag. Straight away he took the boarding pass and gave to the other officer where there was already a big rush of passengers negotiating on money the officers were asking them to pay in cash, we were asked to pay AED 400. I refused to pay anything for the 2 laptop bags and my vanity bag. They made me and my family stand there for about 1/2 an hour and finally, they negotiated to excuse us if we are paying 100 AED. 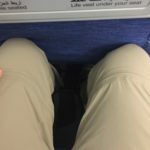 The worst situation I would not want to travel through this airline again. They are only cheap in service and costly in price.